How does a man go from being a ne’er-do-well in a Pennsylvania mining town to a tutor at St. John’s College? Peter Kalkavage joins the show to talk about his path to that Great Books institution, what he’s learned going into his 38th year as a tutor, how he fell in love with the college’s music program, what his study of Hegel taught him, what he’d add to the St. John’s curriculum, what he thinks of the college’s recent rebranding efforts, and more! (Also: Iliad or Odyssey?) Go listen! Peter Kalkavage has been a tutor at St. John’s College in Annapolis, Md., since 1977. He is director of the St. John’s Chorus. 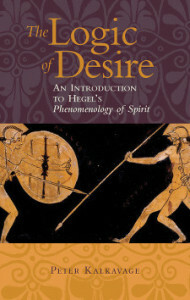 Dr. Kalkavage is the author of The Logic of Desire: An Introduction to Hegel’s Phenomenology of Spirit , and has produced translations of Plato’s Timaeus and Statesman for Focus Philosophical Library. He is also author of two texts that have been used in the St. John’s music program, On the Measurement of Tones and Elements: A Workbook for Freshman Music. Credits: This episode’s music is the opening credits to Miller’s Crossing by Carter Burwell. The conversation was recorded in Peter Kalkavage’s office during the St. John’s College 2014 Piraeus seminar on a pair of Blue enCORE 200 microphones feeding into a Zoom H4n recorder. The intro and outro were recorded on Blue Yeti USB Microphone . Processing was done in Audacity and Garage Band. Photo of Peter Kalkavage by me.